In order of preference. Scroll down to see their biographies. Thank you, we received your selection! Please note that the matching is based on a first come, first served principle. We will send you a confirmation in the week leading up to conference! We are proud to have at the CVCT Career Escalator a selection of experts in a number of specialities and a good representation of the different stakeholders of CV clinical trials. Dr. Bakris received his medical degree from the Rosalind Franklin School of Medicine and completed residency in Internal Medicine at the Mayo Graduate School of Medicine where he also completed a research fellowship in Physiology and Biophysics. He then completed fellowships in Nephrology and Clinical Pharmacology at the University of Chicago. Currently, he is a tenured Professor of Medicine and Director of the ASH Comprehensive Hypertension Center in the Department of Medicine at the University of Chicago Medicine. Dr. Bakris has published over 800 peer reviewed articles and book chapters in the areas of diabetic kidney disease, hypertension, and progression of nephropathy. He is the Editor or Co-Editor of 20 books, in the areas of Kidney Disease Progression and Diabetes as well as the new (2017) 3rd edition of Hypertension: A Companion to Braunwald’s The Heart. He has served on many national guideline committees including: the JNC 7 executive committee, the American Diabetes Assoc. Clinical Practice Guideline Committee, the National Kidney Foundation (K-DOQI) Blood Pressure and Diabetes Guideline committees, Chair, ADA Blood Pressure Consensus Report and ACC/AHA writing committees for Aortic Aneurysm, Hypertension in the Elderly and Resistant Hypertension Guidelines. He is past-president of the American College of Clinical Pharmacology and the American Society of Hypertension. He is the Editor-in-Chief, Am J Nephrology, Section Editor of Up-to-Date, Nephrology & Hypertension Section and Assoc. Ed of Diabetes Care. Jeffrey S. Borer, M.D., is Professor of Medicine, Cell Biology, Radiology, Surgery and Public Health at SUNY Downstate Medical Center. For many years he served as Chief of Cardiology and Chairman of Medicine at SUNY, and now directs two research institutes. Dr. Borer received a BA from Harvard, a M.D. from Cornell, trained at the Massachusetts General Hospital, spent 7 years at NHLBI and a year at Guy’s Hospital (London) as Senior Fullbright Hays Scholar, completing the first clinical demonstration of nitroglycerin’s utility in acute MI. Upon returning to the NIH, he developed stress radionuclide cineangiography, enabling non-invasive assessment of cardiac function with exercise and importantly changing the practice of cardiology. He returned to Cornell for 30 years as Gladys and Roland Harriman Professor and Chief, Division of Cardiovascular Pathophysiology. He has been Advisor to the USFDA for 40 years, was Advisor to NASA for 24 years, is Chairman of the Cardiovascular Devices Committee of the International Standardization Organization (ISO), was founding President, Heart Valve Society of America (2004-2014), has published more than 500 scientific papers and 8 books, has participated in numerous clinical trials, and is editor-in-chief of the journal, Cardiology. Jackie started working with this group in 1993, as she was completing her Masters in Clinical Epidemiology, with the intent to learn how to do clinical trials so she could run trials in post-stroke rehabilitation. Since that time Jackie has acted in the Co-ordinator, Program Manager and most recently, Co-investigator on many large trials in both primary and secondary prevention of cardiovascular disease and diabetes. Through these activities, Jackie developed an active interest in both trial methodology and process and participates in national and international initiatives to improve the design and conduct of clinical trials. She is also an Associate Professor at the School of Rehabilitation Science, where she teaches a variety of courses including Evidence Based Practice. Most recently, Jackie’s research interest have focussed on understanding the causes of functional decline as well as developing simple, internationally applicable interventions to improve post-stroke disability. Jackie has over 65 peer reviewed publications and has received awards such as Contribution to the School of Rehabilitation Science award at McMaster and the President’s Award for outstanding Service. and the PHRI award for Outstanding Contributions to Global Collaborations. Robin Bostic is Divisional Vice President of Global Health Economics and Reimbursement for Abbott. Robin worked in the insurance industry for eight years before moving into medical device reimbursement and government affairs. She has successfully worked with CMS and private payers to create national and regional coverage policies, coding and payment for new innovative technologies as well as managed global reimbursement, health economic and government affairs departments for medical device companies. Robin serves as the Industry Representative for the Inter agency registry for mechanical assist circulatory services (INTERMACS). Her involvement in reimbursement also includes obtaining positive technology assessments, establishing government and medical society technology guidelines and standards as well as payment. She has presented worldwide to numerous groups regarding health care economics, value propositions and adoption of reimbursement best practices as well as published on topics such as reimbursement, cost comparison, cost effectiveness and health economics. 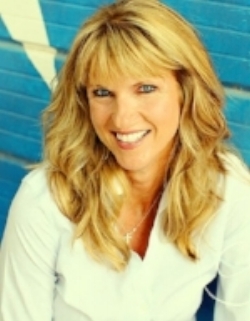 Robin has been recognized by MX Magazines as one of the top executives in the field of reimbursement and is on the speaker faculty for AdvaMed, Center of Business Intelligence, Q1 productions and the Institute for International Research where she has presented business, reimbursement and outcome strategies for medical devices. Javed Butler, MD, MPH, MBA, is Professor of Medicine, Professor of Physiology and Biophysics, Chief of Cardiology, and Co-Director of the Heart Institute, Stony Brook University, New York. Prior to joining Stony Brook, he was Professor of Medicine at Emory University, Atlanta, Georgia, and prior to that, the Director of the Cardiac and Heart-Lung Transplant Programs at Vanderbilt University, Nashville, Tennessee. He received his medical degree at Aga Khan University, Karachi, Pakistan. He completed a residency at Yale University, and then completed a cardiology fellowship and advanced heart failure and transplant fellowship at Vanderbilt University, and a cardiac imaging fellowship at Massachusetts General Hospital, Boston. He also received a Master of Public Health from Harvard University, Cambridge, Massachusetts, and a Master of Business Administration from Emory University. Dr. Butler is board certified in cardiovascular medicine, as well as in advanced heart failure and transplant medicine. His research interests include the management and treatment of patients with heart failure. He serves on several American College of Cardiology/American Heart Association committees, on several National Institutes of Health study sections, and is a member of the Heart Failure Society of America Board of Directors. He is the recipient of the Simon Dack Award by the American College of Cardiology as well as the Time, Feeling, and Focus Award by the American Heart Association. Dr. Butler has authored more than 440 peer-reviewed publications. He serves on the editorial board of several peer reviewed cardiovascular journals. He has been cited numerous times in America’s Best Doctors list. Pieter de Graeff was born in 1950. Following medical training at the University of Groningen, he graduated in 1975. Following his military service, he fulfilled a yearlong internship in internal medicine in the U.S. in Youngstown, Ohio. In October 1977 he started his training as an intern at the department of Internal Medicine, University Hospital, Groningen. In January 1983 he was registered as an internist, practicing up till 2015. Subsequently, he became a clinical advisor for the Dutch Medicines Evaluation Board, keeping a position as associate professor at the depts. of Internal Medicine and Pharmacology/Clinical Pharmacology. In 1989 he finished his thesis, titled “Effects of captopril on the heart. Mechanisms and Therapeutic Potentials.” In 1994 he was co-registered as a clinical pharmacologist. In 1996 he became professor in pharmacotherapeutics. In 2003 he was elected as “teacher of the year”. He maintained a part-time position as senior clinical adviser of the Dutch MEB and as head of the cardiovascular subdivision until 2007. In 2013 he became a full member. In 2007 he became an alternate member of the CHMP and in 2013 a full member from which he retired in 2016. He has fulfilled a number of positions at various organisations, among which the cardiovascular Working Party of the EMA (since 1999), which he is currently chairing. He (co) authored more than 130 publications in peer-reviewed journals with a focus on cardiovascular pharmacology and regulatory science. He has been involved in writing a number of regulatory cardiovascular guidelines, including those on antihypertensive, lipid-lowering, heart failure and anti-arrhythmic agents. Dr. Holli DeVon is Professor and Head of the Biobehavioral Health Science department at the University of Illinois at Chicago, College of Nursing. Her research has focused on multiple aspects of the symptoms of acute coronary syndromes (ACS). Dr. DeVon’s ACS symptom checklist has been used by investigators in Australia, Brazil, Iran, Lebanon, the Philippines, Taiwan, and the UK. She was principal investigator of the Think Symptoms study, an NINR funded multi-site study examining the influence of gender on symptom characteristics during ACS. Dr. DeVon received a Fulbright Scholar Award for 2017-2018 to conduct research in Rwanda. She has been honored with several research and writing awards including the Martha N. Hill New Investigator award from the American Heart Association Council on Cardiovascular Nursing, the Harriet Werley New Investigator award from the Midwest Nursing Research Society, and the 2014 best research paper award from the AHA Council on Cardiovascular Nursing. Dr. DeVon has published more than 60 articles in multidisciplinary journals and written commentaries in several journals including, JAMA Internal Medicine, the Canadian Journal of Cardiology, and The Lancet. She is a founding editorial board member for the Journal of the American Heart Association and is chair of the Council for the Advancement of Nursing Science. Peter M. DiBattiste, M.D., F.A.C.C., F.A.H.A., is the Global Development Head, Cardiovascular at Janssen Research and Development. In this role, he is responsible for establishing the strategy and overseeing the execution of the development programs for all cardiovascular products in development. After decade in clinical practice as an interventional cardiologist, Pete entered the pharmaceutical industry in 1997. He joined Johnson & Johnson in 2005 as Vice President, Cardiology and assembled and led a clinical team of physicians and scientists who have focused on the development of the oral anticoagulant, rivaroxaban During Pete’s tenure as Development Head, he led two of the largest clinical trials in the company’s history – ATLAS and ROCKET AF – collectively enrolling more than 30,000 patients. Pete is focused on the continued development of Xarelto, and on the continued exploration and development of novel antithrombotics. Pete obtained his MD at Harvard Medical School. He completed his internal medicine residency at the University of Texas Southwestern, and his fellowship in cardiovascular disease at the University of Pennsylvania. Jay Edelberg is an M.D., Ph.D graduate of Duke University in Durham, North Carolina. He is a clinical cardiologist and vascular biologist trained at the Massachusetts General Hospital (Internal Medicine), the Beth Israel Deaconess Medical Center in Boston (Cardiovascular Medicine) and Massachusetts Institute of Technology (Biology). From 1999 to 2006, Dr. Edelberg served as an attending coronary care unit (CCU) cardiologist and directed the Cardiac Vascular Biology Research Laboratory at Weill-Cornell Medical Center, with a specific research focus on cardiac stems cells and biomarkers of cardiac aging. Dr. Edelberg has directed cardiovascular biomarker research at Glaxo Smith Kline and Bristol-Myers Squibb (BMS). In addition, Dr. Edelberg was the US Medical Lead for Eliquis at BMS. In 2012 he joined Sanofi as the Vice President and Head of the newly formed PCSK9 Development and Launch Unit. In collaboration with Regeneron Pharmaceuticals, he led the development of PraluentTM (Alirocumab) which was the first PCSK9 inhibitor approved by the FDA for the treatment of high LDL cholesterol. Starting in 2016 Dr. Edelberg has headed Cardiovascular Development at Sanofi. He also serves the deputy head for the Sanofi North American Research & Development Hub as well as the head of Global Cardiovascular Medical Affairs. Dr Alan Fraser is Consultant Cardiologist at the University Hospital of Wales, Cardiff; Visiting Professor in Cardiovascular Imaging and Dynamics at the University of Leuven; and emeritus Professor of Cardiology at the Wales Heart Research Institute, Cardiff University. He qualified in Edinburgh, undertook postgraduate training in Scotland and Wales, and was clinical research fellow at the Thoraxcentre in Rotterdam. He is a Past-President of the European Association of Echocardiography, and he chairs the Committee on Medical Devices of the European Society of Cardiology. His research interests include heart valve disease, heart muscle disease, and the pathophysiology and diagnosis of heart failure. He graduated from Paris university in 1983 and received his doctor of Medicine in 1984. He then underwent a general surgery training at St Vincents hospital in new york from 1984 to 1989, then in cardiothoracic surgery in SUNY health in Brooklyn from 1989 to 1992. Successfully passed the American Board of Surgey and American Board of CardioThoracic Surgery, and became Fellow of the American College of Surgery in 1996.. After completion of his US training he did a two year fellowship in Marie Lannelongue in adult and pediatric surgery. Became staff surgeon at Institut Mutualiste Montsouris in 1994, he started a mini invasive program with robotic in 2004 for CABG and mitral valve repair. He then became full Professor of CardioThoracic surgery in 2012 and head of the department of cardiovascular and transplantation of the University of Lorraine in Nancy. His main interest is in the field of minimally invasive valvular cardiac surgery. He the author or coauthor of more than 200 publications. He is currently the chairman of the Cardiovascular group of the nucleus of the European Society of Cardiology, and the vice President of the European Society of Endovascular Surgery. Patrick Gee had been a peritoneal dialysis patient since December 2013. On April 21, 2017, Patrick received a kidney transplant at the Hume-Lee Transplant Center at the Medical College of Virginia/Virginia Commonwealth University. After spending 33 days in the hospital, 4 surgeries and a 47 days wait until his kidney began to function, Patrick is back to being active again in the fight against CKD. Since suffering from End Stage Renal Disease, Patrick has become a Health Care Advocate, fighting for a better health care system and better quality of life for those suffering from chronic illness. Patrick has been on Capitol Hill several times speaking with legislators about policies and bills that concern those suffering from Chronic Kidney Disease and End Stage Renal Disease. Patrick currently serves as Chair for the Quality Insights Network 5 Patient Advisory Committee, Subject Matter Expert for Quality Insights Network 5, Subject Matter Expert for Quality Insights Medical Review Board, Regional Liaison, Center for Patient Engagement and Advocacy, American Association of Kidney Patients, Subject Matter Expert for Kidney Community Emergency Response (KCER) Training Group, Subject Matter Expert for National KCER Patient and Family Engagement Learning and Action Network (N-KPFE-LAN), Subject Matter Expert for The National Kidney Foundation’s (NKF) Kidney Advocacy Committee ( KAC) and a certified trainer for NKF’s You and Your Kidneys, University of Michigan Kidney Epidemiology and Cost Center ESRD PRO Technical Expert Panel member, the APOL1 Study in Kidney Transplantation Consortium Clinical Center through the Cleveland Clinic and an United Network for Organ Sharing Ambassador. Patrick graduated from the M3 Church School of Ministry in November 2016. Patrick is currently serving in the position of Minister-In-Training and hopes that as part of his ministry, he would visit his peers on in-center hemodialysis, to offer encouragement and support. Patrick also has a Bachelor’s and Master’s of Science in Criminal Justice from the University of Richmond, Richmond, VA and a Doctor of Philosophy in Justice, Law and Criminology from American University, Washington, DC. Patrick’s Advocacy goal is to be a face for the faceless and a voice for the voiceless in regards to fighting for a better quality of life, fair and effective legislation for those suffering from a chronic illness and a cure for all illnesses that lead to kidney disease. Barbara S. Gillespie, MD, MMS, FASN, is a board-certified nephrologist who is currently a Vice President at Covance Global CRO where she is the Therapeutic Head of Nephrology and supports sponsors on renal drug & device development. She is also an Adjunct Professor at the University of North Carolina, Division of Nephrology and Hypertension; and on the Board of Directors at the Kidney Health Initiative, a public-private partnership between the FDA and American Society of Nephrology. Dr. Gillespie completed her residency in internal medicine at the University of North Carolina and her nephrology fellowship at Duke University Medical Center. Dr. Gillespie serves on two Workgroups at the KHI: Surrogate Endpoints for IgA Nephropathy, and Challenges to CKD patient participation in CV Trials. She participates in several Advisory Boards and/or Stakeholder Panels including the FDA/EMA/NKF Workshop on Renal Endpoints (Stakeholder Committee and invited participant for March 2018), NKF CKD Registry (Scientific Ad Board) , UNC’s PCORI grant on Building Research Capacity in the Dialysis Community (Stakeholder Advisory Panel), and the global Standardized Outcomes for Nephrology (SONG) Initiative. Barbara has also served on an Independent Endpoint Adjudication Committee for a global CKD and CV Outcomes program. Nicolas GIRERD, MD, PhD, associate professor of Therapeutics, is a cardiologist and biostatistician currently working at the Nancy Plurithematic Clinical Investigation Center (CIC)-Inserm, France. He completed is Cardiology training in Lyon, France, and completed his Masters degree in Clinical Epidemiology in Québec, Canada. He obtained a PhD in Biostatistics focused on treatment effect evaluation in survival models in Lyon, France. He has participated / is currently participating in several EU FP6-7 programs (MEDIA: Coord. : W. Paulus; HOMAGE & FIBROTARGETS: Coord. : F. Zannad , Nancy CIC). He is also contributing to the University Hospital “French Government Investment for the Future” Fighting Heart Failure program (2016-2020). He is currently the PI of the REMI (Relationship Between Aldosterone and Cardiac Remodeling After Myocardial Infarction - NCT01109225) and the AHF-CORE (Acute Heart Failure - COngestion Repeated Evaluation - NCT03327532) studies. He is also the methodologist/biostatistician of several randomized clinical trials in the field of heart failure and/or MRA therapy (Effects of Induced Moderate HYPOthermia on Mortality in Cardiogenic Shock Patients Rescued by Veno-arterial ECMO (HYPO-ECMO) NCT02754193; Eplerenone in Patients Undergoing REnal Transplant (EPURE TRANSPLANT) NCT02490904). His current research interests are mainly focused on the quantification and treatment of congestion in acute and chronic heart failure. He is the author of over 130 publications in international journals. Jakub P. Hlávka, MA MPhil is a health policy researcher at the RAND Corporation, a doctoral fellow at the Pardee RAND Graduate School, and a visiting fellow in health economics at the USC Schaeffer Center for Health Policy & Economics. His research addresses biotechnology, health care financing and R&D investment by the public and private sector, with a focus on innovative payment models for high-cost medical treatments in cardiology, neurology and oncology. He is currently investigating outcome-based, deferred payment and time-varying payment approaches for regenerative treatments and specialty drugs, including PCSK9 inhibitors. He has completed fellowships and internships at Genentech, the Fraunhofer Society and the Hoover Institution at Stanford. Jakub holds a graduate degree from Georgetown University Edmund A. Walsh School of Foreign Service and an undergraduate degree from the University of Economics in Prague. Jula Inrig is a Senior Medical Director and Global Medical Strategic Lead in Nephrology at Iqvia. Dr. Inrig is Board certified in Nephrology and Internal Medicine from Duke University. Prior to joining Iqvia, she had a 10 year tenure as an academic clinical scientist with 50+ publications in peer-reviewed literature and PI and consultant for numerous clinical trials. She is an Adjunct Associate in Medicine at Duke University/DCRI where she previously worked on and designed nephrology and cardiovascular outcomes trials. She also is an Associate Professor of Medicine at UC Irvine where she teaches and manages dialysis patients part-time. Dr. Inrig is an Inaugural member of the Board of Directors for the Kidney Health Initiative, a member on the KDOQI work group for Dialysis Adequacy Guidelines, Chair of American Heart Association Kidney Council in Cardiovascular Disease, and serves on editorial boards for National Kidney Foundation and Kidney International. As the Head of the Renal Center of Excellence, Dr. Inrig oversees the entire portfolio of Nephrology trials at IQVIA and provides scientific and strategic insight and ongoing consultation to both internal and external teams through the lifecycle of the trials. In her role, Dr. Inrig provides a full range of pre- and post-marketing nephrology strategic support such as formulation of clinical development plans, planning and designing trials, clinical endpoint committees, executive steering committees, global regulatory submissions, FDA//EMA/PMDA meetings, DSMB/CEC planning and oversight, protocol writing, global medical oversight, feasibility and global country selection, steering committee/advisory boards, publications, market analysis, and commercialization scenarios. Dr. Kindman studied Biochemistry at Brandeis and Harvard Universities prior to attending medical School at the Icahn School of Medicine at Mount Sinai in New York, Internal Medicine residency at New York-Presbyterian Weill Cornell Medical Center, and Cardiology Fellowship at Stanford. After further research training at Stanford, he joined the departments of Medicine and Cell Biology at Duke Medical Center where he studied intracellular calcium trafficking. He was in private practice from 1996-2010, when he joined the University of North Carolina Chapel Hill. In addition to coronary interventions, his clinical practice included echocardiography, nuclear cardiology, heart failure and arrhythmia management. His clinical research included anticoagulant and antithrombotic trials, lipid lowering trials, and device trials. Since joining Quintiles, he has continued working in the areas of peripheral, coronary and structural heart pharmacotherapies and devices, heart failure, lipids, anticoagulants, and anticoagulant reversal agents. Many of his projects involve regenerative therapies. Lorenzo G Mantovani holds a degree in Economics (Milan) and a Doctorate in Epidemiology (Rotterdam). He is Associate Professor of Public Health at the University of Milan - Bicocca, Italy. His main research interests include cost, outcomes, compliance and persistence to chronic cardio-metabolic treatments. Recipient of several international service and scientific awards, he is member of the Steering Committee of international registries, including Xamos, Xalia, Xalia-LEA, COSIMO, Garfield-AF, Garfield-VTE and collaborates with the Global Burden of Disease Study. In the last two decades he has been serving as HTA advisor to several Public Authorities. Member of the editorial board of PLOS ONE, of the Open Diabetes Journal and of Health Policy in Non-communicable Diseases, he co-authored more than 200 HTA Reports and scientific articles, including papers published in Blood, Circulation, European Heart Journal, American Heart Journal, Europace, European Journal of Heart Failure, International Journal of Cardiology, Lancet, Lancet Haematology and The New England Journal of Medicine. Dr. Marrouche has dedicated his career to developing innovative research and clinical practices to advance patient care, diagnosis and treatment of heart arrhythmias. In 2009, at the University of Utah, he created the Comprehensive Arrhythmia Research and Management Center (CARMA) bringing together a cross-departmental team of physicians, scientists, researchers, MRI and imaging specialists dedicated to working collaboratively to answer the questions: What if we treated patients proactively instead of reactively? Moreover, what if we could predict and prevent a stroke in a patient before it happens? Under his guidance, the CARMA Center developed the Utah Classification System enabling electrophysiologists and cardiologists to deliver individualized care to arrhythmia patients. The CARMA Center also conducted the international DECAAF study. The standard of care was to ablate around the pulmonary vein. The DECAAF study showed that ablation of the veins did not predict outcome. In fact, the most important predictor of outcome, along with stage of atrial fibrosis, was the degree of ablation of the fibrotic tissue. Rather than targeting the pulmonary veins, procedures which ablated fibrotic tissue produced better outcomes. Feliipe Martinez graduated from Cordoba National University where he is currently distinguished as Emeritus Professor of Medicine. He attended post graduate training at Brussels University, Belgium and Toronto University, Canada. He is the Director of Rusculleda Foundation and Damic Institute where in addition to patient care and Academic activities, many Phase II and III international trials have been coordinated in South America as SMO/ARO. Dr Martinez is a former President of the Argentinean Federation of Cardiology and the International Society of Cardiovascular Pharmacotherapy and Immediate Past Governor of the Argentina Chapter of the American College of Cardiology. He has edited three books about Cardiovascular Therapeutics, the last two were sold out in less than 6 months in Spanish Speaking Countries. He published more than 200 articles in international Journals. As an invited speaker he has participated in more than 150 international meetings, in 26 Countries distributed in the five continents, including four of the largest Congresses in the world. And also has chaired the Scientific Committee of the World Congress of Cardiology 2008 in Buenos Aires. His main fields of interest are Heart Failure and Hypertension with special focus in drug treatment and clinical research. In this particular area he has participated as Member of Executive, Steering and Endpoint Committees in 43 multinational trials. CVCT has invited him as a Faculty Member every year since 2010. Debbe McCall is an active patient leader in the heart disease community, specifically atrial fibrillation. She is the administrator of the Atrial Fibrillation Support Forum, with >8,000 international members. She has spoken about the patient experience at ACC, HRS, patient conferences and industry symposia. She has also been interviewed many times about patient engagement and research, and attending medical conferences. In 2010, she was nominated to be a Patient Representative (SGE) to the FDA’s Cardiovascular Drug and Device Advisory Committee, and has served on over 18 AdComms including drugs, devices, reclassifications, biologics and think tanks. In 2013 she joined the Health eHeart Alliance, and in March of 2015 was elected as their first Chair and Co-PI. She is a co-author of "Ethical responsibilities toward indirect and collateral participants in pragmatic clinical trials" in Clinical Trials Journal. She is on the Data Safety Monitoring Board (DSMB) of the ADAPTABLE Aspirin Trial, a patient lead or Co-PI on multiple funded grants and a patient peer reviewer for manuscripts. Dr. Darren K. McGuire, MD, MHSc completed medical school at Johns Hopkins, residency at UT Southwestern, and Cardiology Fellowship at Duke. He is Professor of Medicine at UT Southwestern in the Division of Cardiology, holding the Dallas Heart Ball Chair for Research on Heart Disease in Women and is a Distinguished Teaching Professor. Dr. McGuire’s expertise is in global CV outcomes trials with a focus in the area of diabetes. 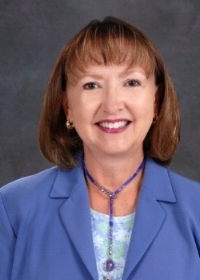 Dr. McGuire has been received Outstanding Teacher awards from the UT Southwestern medical students, medicine housestaff, and cardiology fellows, as well as the UT System Board of Regents Outstanding Teacher Award in 2013. Dr. McGuire is a previous member of the FDA Cardiovascular and Renal Drugs Advisory Committee; is Deputy Editor of Circulation and co-editor of: Diabetes in Cardiovascular Disease: A Companion to Braunwald’s Heart Disease. Dr. McGuire has co-authored over 260 peer-reviewed publications. Alexandre Mebazaa, MD, PhD, FESC, is Professor of Anaesthesiology and Critical Care Medicine at the Hôpital Lariboisière, University Paris 7, France. His research interests include mechanisms of contractile impairment during acute heart failure and global studies on biomarkers in acute heart failure. He acted as member or Chair of several Steering Committees including SURVIVE, COMPOSE, TRUE-HF. He is also involved in several European and global registries on circulatory failure. He has authored or co-authored more than 200 papers and is Lead-Editor of the Acute Heart Failure textbook. Dr Mebazaa also serves as the Chair of Department of Anesthesiology and Critical Care in Paris. Roxana Mehran is Professor of Medicine, Cardiology and Professor of Population Health Science and Policy at the Icahn School of Medicine at Mount Sinai is internationally renowned in the field of interventional cardiovascular disease. As Director of Interventional Cardiovascular Research and Clinical Trials at Mount Sinai, she has developed a globally-respected data and clinical coordination center. A prolific researcher and author, she has served as principal investigator for numerous large global studies, developed risk scores for bleeding and acute kidney injury, and authored >800 peer-reviewed articles. Dr. Mehran has received numerous prestigious awards, most recently the 2017 Bernadine Healy Leadership in Women’s CV Disease Award. She is co-founder of the Academic Research Consortium (ARC) and Women in Innovation (WIN), and a founding physician of the Cardiovascular Research Foundation, where she is currently Chief Scientific Officer. Prior to her position at Mount Sinai, Dr. Mehran held appointments at Columbia University Medical Center and Washington Hospital Center. She completed internal medicine training at University of Connecticut and fellowships in cardiovascular disease and interventional cardiology at Mount Sinai Medical Center. Cyrus Mehta is President and co-founder of Cytel Corporation and Adjunct Professor of Biostatistics, Harvard University. Cytel (www.cytel.com) is a leading provider of software, clinical services and strategic consulting on the design, interim monitoring and implementation of adaptive clinical trials, with offices in the United States, Europe and India. Dr. Mehta consults extensively with the biopharmaceutical industry on group sequential and adaptive design, offers workshops on these topics, and serves on data monitoring and steering committees for trials in many therapeutic areas. He has over 110 publications in leading statistics and medical journals. He is a past co-winner of the George W. Snedecor Award from the American Statistical Association, is a Fellow of the American Statistical Association, and an elected member of the International Statistical Institute. He was named Mosteller Statistician of the Year by the Massachusetts Chapter of the American Statistical Association in 2000, and Outstanding Zoroastrian Entrepreneur by the World Zoroastrian Chamber of Commerce in 2002. He has received the Lifetime Achievement Award from the International Indian Statistical Association (2015) and the Distinguished Alumi Award from the Indian Institute of Technology, Bombay (2016). Carl G.M. Moons is Professor of Clinical Epidemiology at the Julius Center for Health Sciences and Primary Care, UMC Utrecht, The Netherlands. He is Director of Research in the management team of the Julius Center and heading the research programme ‘Methodology’. Since 2005 he also has an Adjunct Professorship at VanderBilt University, Nashville, USA. He also is affiliated to the Cochrane Collaboration and Cochrane Netherlands. He is editor in chief of BMC Diagnostic & Prognostic Research. Carl Moons is principal investigator in numerous international clinical (epidemiology) studies funded by various organisations (EU, NHS, NIH). His experience covers the full range of conduct, data analysis, reporting and disseminaton of such studies, varying from studies on the evaluation of medical devices and tests for diagnosis, prognosis, screening and monitoring, to etiological studies and randomised therapeutic trials, to meta-epidemiological studies both on aggregate and individual participant data. His main focus concerns improving the methods and approaches for evaluation and implementation of medical devices and technology. His major expertise is introducing innovations for the design, conducting, analysis and reporting of evaluations of diagnostic and prognostic tests, devices, (bio)markers and prediction models. Clinical topics include cancer, deep vein thrombosis, stroke, heart failure and peri-operative risk assessment. He teaches graduate and postgraduate students in all aspects of clinical (epidemiological) research design, conducting, analysis and reporting, throughout the world. He has published over 450 scientific papers and book chapters and obtained numerous research grants, including large prestigious personal grants. Dr Stuart Pocock has been professor of medical statistics in the School since 1989. His main research interests concern randomised clinical trials, both in statistical methods for their design, monitoring, analysis and reporting, and also in collaborations on specific major trials especially in cardiovascular disease. He directs an experienced group of academic medical statisticians, who collaborate widely on clinical trials research, from planning to publication. A particular expertise is in data monitoring and as an independent statistical centre for industry-sponsored trials. Stuart and his group also research on epidemiology, especially pharmaco-epidemiology, meta-analyses, and journal reporting guidelines. Stuart's international collaborations are diverse, and include particular long-standing relationships with research institutes in Madrid and New York. He is a frequent lecturer/teacher at international conferences, workshops and short courses. Heribert Schunkert, MD is Professor of Cardiology of the Technische Universitaet Munich, Director of the Cardiology Department, German Heart Centre Munich. He completed a research fellowship at Brigham and Women’s Hospital, Boston, USA and clinical fellowships at Beth Israel Hospital and at the Universitaetsklinikum, Regensburg and the Massachusetts General Hospital, Boston, USA. From 2002-2012 Prof. Schunkert was Director of Internal Medicine and Cardiology at the University of Luebeck. He conducts research in the molecular genetics of multifactorial cardiovascular disease, coordinates several EU- and BMBF-sponsored projects as well as the European-American Leducq network CADgenomics to identify the genetic roots of myocardial infarction. He is the author of more than 600 publications in international journals. Dr. Singhal is the Worldwide Medical Lead for early assets for the Cardiovascular Research and development efforts at Bristol-Myers Squibb. In this role, he is part of the team responsible for the development of the BMS Cardiovascular strategy. He also continues to see patients regularly and be a part of the cardiovascular teaching curriculum for the senior internal medicine residents at a local hospital and sees patients on a regular basis. Dr. Singhal earned a Medical Degree from the SUNY Upstate Medical University in Syracuse, NY. He completed his internal medicine residency at Thomas Jefferson University Hospital and a cardiovascular fellowship at the University of Cincinnati. His passion is in evolving our country’s healthcare system into a modern, scientifically grounded, outcomes driven system that is patient centric at heart. Dr. Singhal lives in NJ with his family. He enjoys traveling, skiing, running, cycling, spending time with his twin sons and helping them develop into positive contributors to society. Dr. Strait is a Cardiologist and head of the Cardiovascular Therapeutic Area for European Clinical Development at Merck, Sharpe, Dohme (MSD) where he oversees trials in heart failure, pulmonary hypertension, atherosclerosis, and thrombosis. Prior to joining industry, he was the head of Human Cardiovascular Studies at the National Institute on Aging, National Institutes of Health in the United States. He has served as a Principal Investigator on several interventional and observational trials with a focus on the development of therapeutic approaches to the decline in aging-associated declines cardiovascular function. As an outgrowth of this background he has maintained an interest in the delay and reversal of cardiovascular fibrosis focusing on the development of surrogate endpoints which would enable the study of these changes in humans within large scale development programs and production of effective therapies for afflicted patients. In addition to his current work in Clinical Development, he has had a broad based research career which has included study of cardiomyocyte signal transduction using adenoviral-gene construct approaches, genetic underpinnings of common diseases using GWAS, changes in extracellular matrix composition, preserved and reduced ejection fraction associated heart failure, and changes in arterial-ventricular coupling via echocardiographic and pulse wave velocity modalities. Karl Swedberg, MD, PhD, FESC, is Senior Professor of Medicine, Department of Molecular and Clinical Medicine, Sahlgrenska Academy, University of Gothenburg, Sweden. He is also Professor of Cardiology, National Heart and Lung Institute, Imperial College, London. He was the first to report on survival benefits of a beta-blocker (1979), an ACE-inhibitor (1987), an angiotensin receptor blocker (2003), an if-channel inhibitor (ivabradine 2010) and recently an ARNI (angiotensin receptor antagonist and neprilysin inhibitor 2014) in chronic heart failure. He has published widely with more than 600 publications in peer-reviewed journals, 340 original research papers and over 48,000 citations. He was Chairman of the Task Force on the Diagnosis and Treatment of Chronic Heart Failure that updated the ESC Guidelines 2005. He has participated in Steering Committees in numerous outcome trials in myocardial infarction and heart failure. Recipient of the 2004 Kaufman Award of heart failure research from Cleveland Clinics, USA. Awarded European Society of Cardiology Gold medal 2007 for outstanding contributions to the cardiovascular field. He gave the Paul Dudley White international lecture, AHA annual meeting in Orlando 2009. He received a Life-time Achievement Award from the Heart Failure Association (HFA) of ESC in 2016. He served as Editor-in-Chief of the European Journal of Heart Failure as between 2005 to 2009. And is the Associate Editor European Heart Journal since 2012. Dr John R. Teerlink, FACC, FAHA, FESC, FHFSA, FRCP (UK) is Director of Heart Failure and of the Echocardiography Laboratory at the San Francisco Veterans Affairs Medical Center and Professor of Medicine at the University of California San Francisco (UCSF, USA). He received a BA with Highest Honors from Swarthmore College (Comparative Religious Studies; Cellular Biology) and an MD from Harvard Medical School, completing Internal Medicine residency and Cardiology fellowship at UCSF, as well as postdoctoral research fellowships at Hoffman-LaRoche (Basel, Switzerland) and UCSF (Howard Hughes), subsequently joining the faculty. Dr Teerlink is actively involved in the design and execution of many acute and chronic heart failure clinical trials, serving on endpoint, data safety monitoring, and steering committees. He was a permanent member of the FDA Cardiovascular and Renal Drugs Advisory Committee, and frequently serves as an ad hoc member of multiple other FDA advisory committees and panels for medical devices, diagnostics, biologics and drugs. Dr Teerlink is a clinical scholar presenting many lectures and publications, including a chapter on Acute Heart Failure in Braunwald’s Heart Disease textbook, and was profiled in The Lancet as an internationally recognized leader in heart failure. He serves as a consultant on clinical development programs in all areas of cardiology, as well as in cardiovascular safety for multiple non-cardiovascular indications. Mintu Turakhia M.D. M.A.S. is a cardiac electrophysiologist, outcomes researcher, and clinical trialist. Dr. Turakhia has an active, highly-funded multidisciplinary program in Atrial Fibrillation, where uses large datasets to examine quality, outcomes, and risk prediction for heart rhythm disorders. As the Executive Director of Stanford’s new Center for Digital Health, he is the principal investigator of several multi-center trials to test digital health tools and wearable devices to screen and manage heart rhythm disorders. In his clinical role as Director of EP at the VA, Dr. Turakhia performs invasive procedures such as catheter ablation and device implantation to treat heart rhythm disorders. Dr. Turakhia is a Fellow of the American Heart Association, American College of Cardiology, and Heart Rhythm Society. As Associate Provost for Clinical Research and Associate Dean for Clinical Research, Dr. David Whellan, focuses on designing clinical research infrastructure, policies and practices required to perform cutting-edge, highly effective and compliant clinical research. His work resulted in the creation of the Jefferson Clinical Research Institute as the platform for implementing services within TJU to support faculty in their pursuit of discovering better ways to improve the care of their patients, to engage patients in the clinical research process, and to assist sponsors with the development of their treatments. He has led Jefferson to leverage the infrastructure and support of the JCRI to initiate the Partners in Innovation Education, and Research (PIER) Consortium, a novel network of partnering healthcare organizations to conduct cutting-edge clinical research that advances our understanding of disease and treatment, improves the health of our patients and meets the needs of our providers, investigators and sponsors. Dr. Whellan is also the James C. Wilson Professor of Medicine, whose research has focused on improving the care and treatment of patients with heart failure. In recognition of his expertise in the field of HF research, he is the PI for the Jefferson Regional Clinical Center in the NHLBI HF Network. His research in exercise training (HF-ACTION) and physical function (REHAB-HF) led the coverage of cardiac rehabilitation by CMS. Dr. Wijeysundera is the Vice-President, Medical Devices and Clinical Intervention at CADTH. He continues an active practice as an interventional cardiologist and clinician scientist at the Schulich Heart Center in Sunnybrook Health Sciences Center. He is the director of research for the division of cardiology, and a scientist at Sunnybrook Research Institute as well as an adjunct scientist at the Institute for Clinical Evaluative Sciences (ICES). He is an associate professor in the Department of Medicine and the Institute for Health Policy, Management and Evaluation (IHPME) at the University of Toronto. His clinical practice is focused on transcatheter aortic valve implantation (TAVI) and coronary chronic total occlusions. His research program focuses on health technology assessments predominantly in cardiovascular disease using decision analytic models, which are populated and validated using real-world administrative data for both clinical outcomes and health care costs. Faiez Zannad is Professor of Therapeutics at the University of Lorraine in Nancy, France. He earned his MD degree and cardiology specialty at the University of Lorraine in 1979 and PhD degree in clinical pharmacology at the University of Lyon in Lyon, France, in 1984. During his PhD study, he also completed a fellowship at the MRC Clinical Pharmacology unit, Oxford, UK. 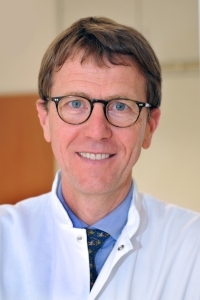 Pr Zannad is currently Head of the Division of Heart Failure and Hypertension and Director of the Inserm Clinical Investigation Center at “Institut Lorrain du Coeur et des Vaisseaux” in the Centre Hospitalier et Universitaire of Nancy. Pr Zannad coordinates two EU FP7 grants in heart failure: HOMAGE (omics biomarkers for mechanistic phenotyping and prediction of drug response [www.homage-hf.eu]) and FIBROTARGETS (fibrosis as a biotargets [www.fibrotargets.eu]). As the primary investigator or member of the oversight committees in major clinical trials, Pr Zannad has made significant contributions to evidence-based heart failure life-saving therapy, mainly with beta-blockers (CIBIS) and mineralocorticoid receptor antagonists (RALES, EPHESUS, EMPHASIS-HF). He pioneered cardiovascular outcome trials in chronic kidney disease (FOSIDIAL, AURORA, ALCHEMIST) and the one of the first cardiovascular safety trials on glucose-lowering drugs in diabetes (EXAMINE). Pr Zannad has served as Chairman of the French Society of Hypertension, Chairman of the ESC Working Group on pharmacology and drug therapy, and board member of the ESC Heart Failure Association. He was Founder and is currently Chairman of the Global CardioVascular Clinical Trialists (CVCT) Forum and Workshop, an annual international meeting dedicated to the science of clinical trials, and of the International Workshop on Biomarkers in heart failure. He has authored more than 550 scientific publications. Dr Bram Zuckerman is a graduate of the Boston University Medical School. He completed postgraduate training in internal medicine at Baltimore City Hospital and cardiology at the John’s Hopkins program. Prior to joining the FDA in 1992, he was involved in basic research in emodynamics at the University of Colorado Medical School and practiced noninvasive and invasive cardiology in Denver, Colorado and Northern Virginia. He joined the FDA Division of Cardiovascular Devices (DCD) as a Medical Officer in 1992 and has been actively involved in development and review of clinical trials for many new cardiovascular devices. In May 2001 he was appointed a Deputy Director in DCD. Then in September 2002 he was appointed to his current position as Director of the FDA Division of Cardiovascular Devices.